In what could be a huge breakthrough for the treatment of paralysis, German scientists have successfully developed a way for nerve endings and fibers to repair themselves. The team of scientists at the German Center for Neurodegenerative Diseases were able to identify a gene in mice that stops nerve fibers from regenerating and repairing themselves. 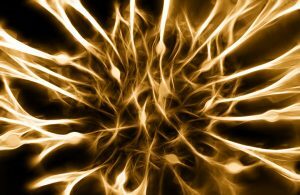 The scientists found the gene that, essentially, stops regrowth in the nerves and they figured out how to turn it off. because of this, new treatments for spinal cord injuries and other forms of human paralysis may not be far off. The scientist team went into the research working on the hypothesis that such a blocking agent did exist and that they could trigger it like turning off a light switch. They found it but it was far from an easy task. They were able to isolate the potential gene blocker using a data method known as bioinformatics which takes huge amounts of data and just crunches them into a computer until what they may be looking for will identify itself. The gene they located, known as Cacna2d2, is actually a full plan, or blueprint, for the protein that controls the flow of calcium into the gene cells. The calcium is important in the transformation of information released by the neurotransmitters that communicate between the synapses. To test their theory, the scientists injected the mice with a calcium binding drug called Pregabalin and discovered that the nerve endings and fibers within the mice were regenerating and growing. The team plans on continuing their studies as last year they had experimented with certain cancer drugs and found that some of the drugs could restore the health of damaged nerves. They will, in future experiments, try and determine if there is a possible link in the treatments.